The man from Ann Arbor (Michigan) comes to Europe to present his just released debut long player Strange Arrangment on Stones Throw Records. 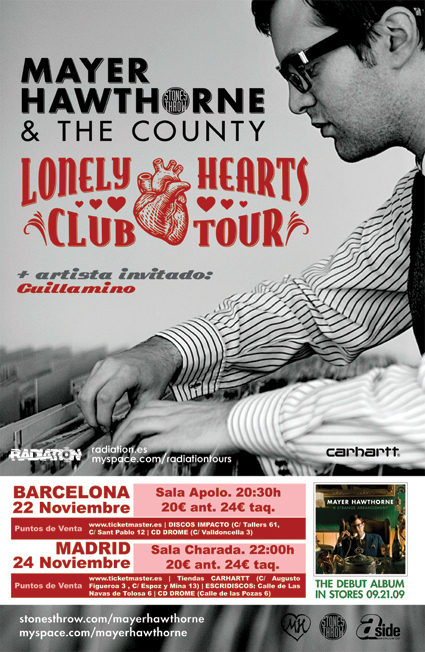 This time he’s accompanied by his band The County what makes the sound even more tight and funky. Being a multi-instrumentalist, Mayer Hawthrone loves Soul, Funk and Jazz from the sixties and seventies. Therefore his band offers him the right groovy back up to combine his qualities as a DJ with those from a show master. 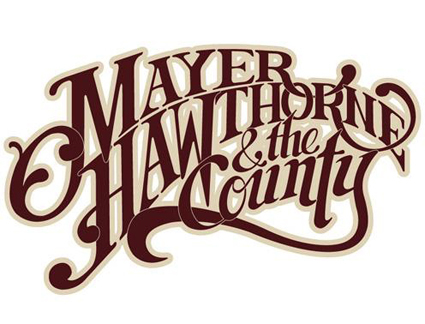 Sometimes the lead singer appears to move and groove like a modern version of Frank Sinatra on stage, as Mayer Hawthrone likes elegant and flourish gestures to put up a big front in the old school way. So no blind excuse: if you like Soul, this guy will take your hearts by storm with his cute voice and his matchless Harvard graduate vintage style.